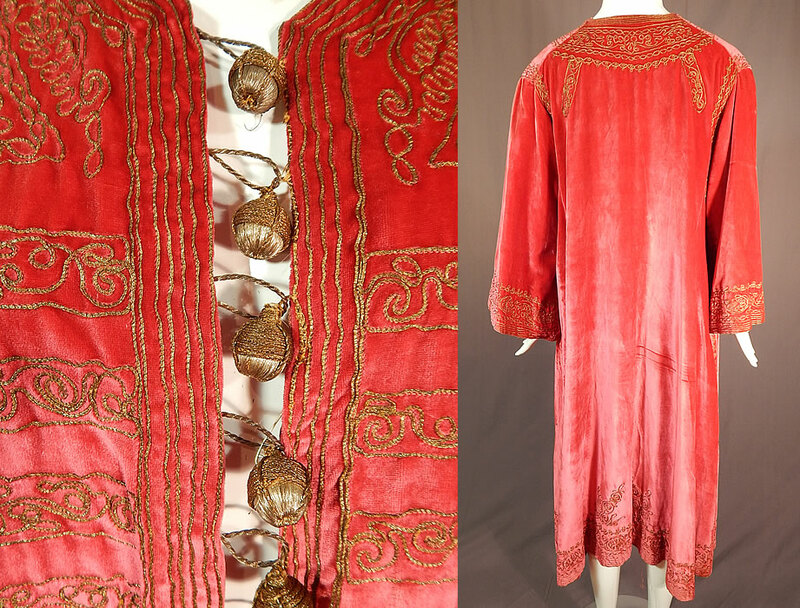 This vintage B. Altman & Co. Turkish Ottoman pink velvet gold embroidered kaftan robe dates from 1920s. 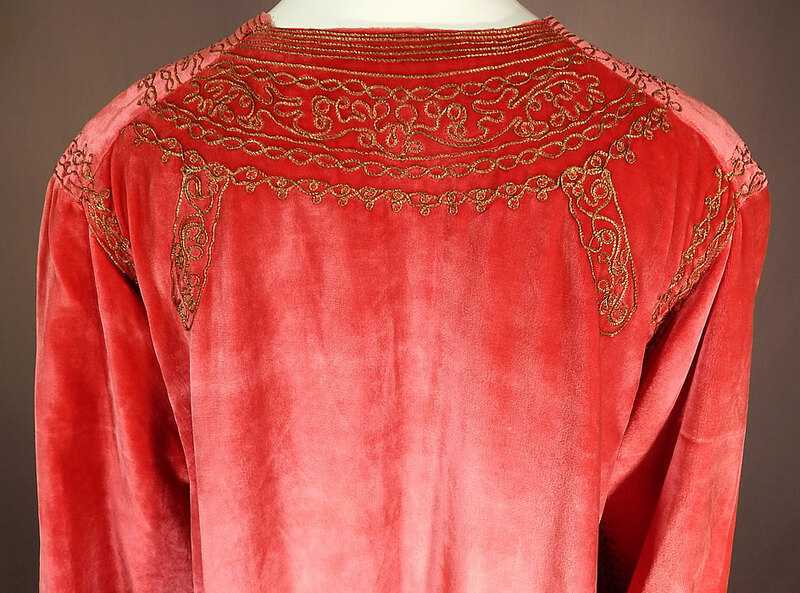 It is made of a fuchsia pink purplish red color silk velvet fabric, with gold metallic threads done in tambour chain stitch soutache braided embroidery work trim accents. 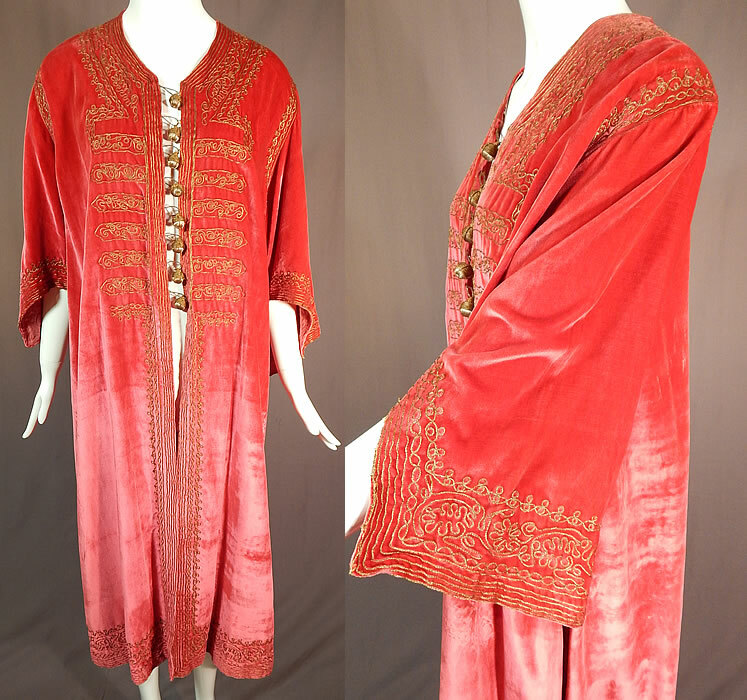 This fabulous floor length, long loose fitting kaftan style robe coat has long full flared sleeves with cutaway cuffs, gold metallic wrapped ball button closures on the front top and is unlined. 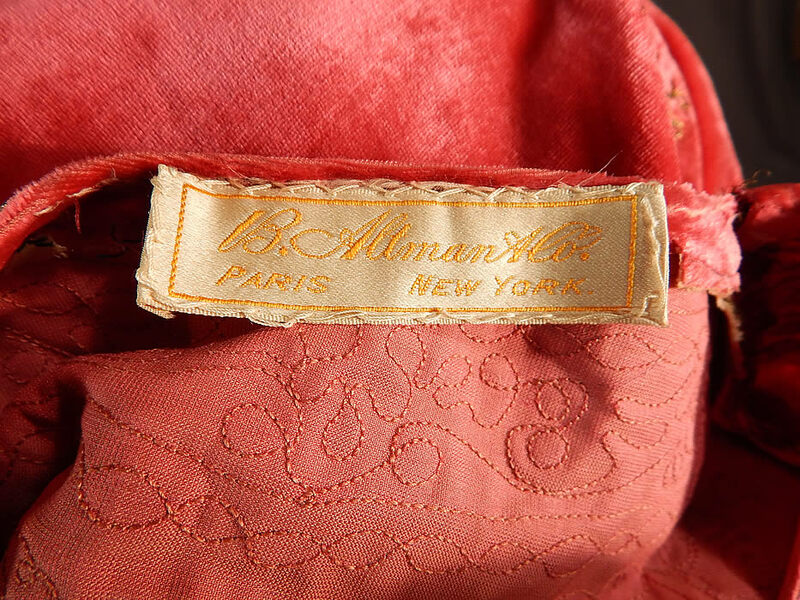 There is a "B. Altman & Co. Paris - New York" store label sewn inside. The robe measures 46 inches long, with a 46 inch bust, 50 inch waist, 50 inch hips and 18 inch long sleeves. It is in good condition, with only the original lining inside removed. 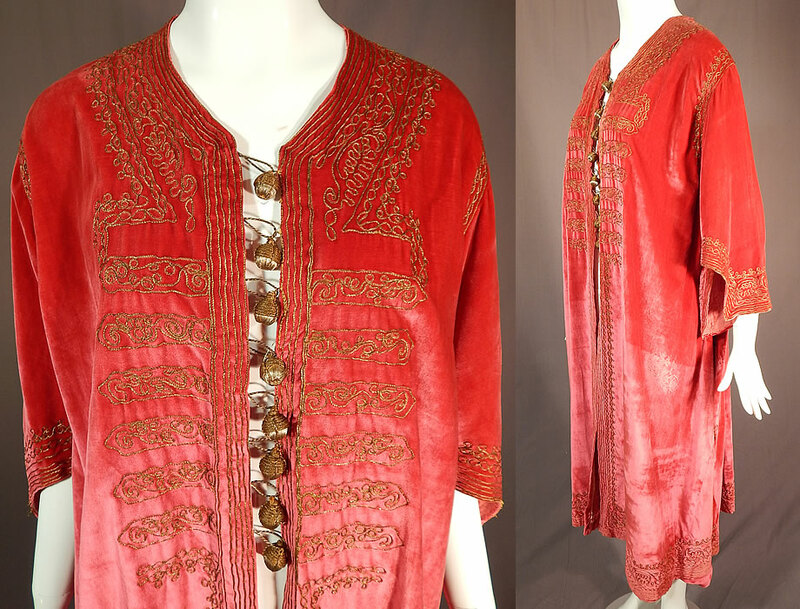 This is truly an exceptional piece of wearable Turkish textile art!